Today's blog post is going to be about the importance of not only eating breakfast but eating a HEALTHY BREAKFAST. Majority of my readers are bloggers or professionals who probably have busy mornings and like me just want to grab a quick bite to eat & don't put much emphasis on its nutritional value. Taking time to cook yourself up a healthy meal in the morning is the first thing you can do to start off a great day! Below are some benefits of eating a healthy breakfast in the morning and also a quick meal that I like to put together (12 mins max)! 1. You have more energy throughout the day. 2. Boosts your memory and concentration. 3. Could lower your risk of diabetes. 5. Lowers your risk for heart disease. 6. You go into a new day with a great attitude which is why you will be glamorous & sparkle all day! 30 Quick Healthy Breakfasts on the Go! 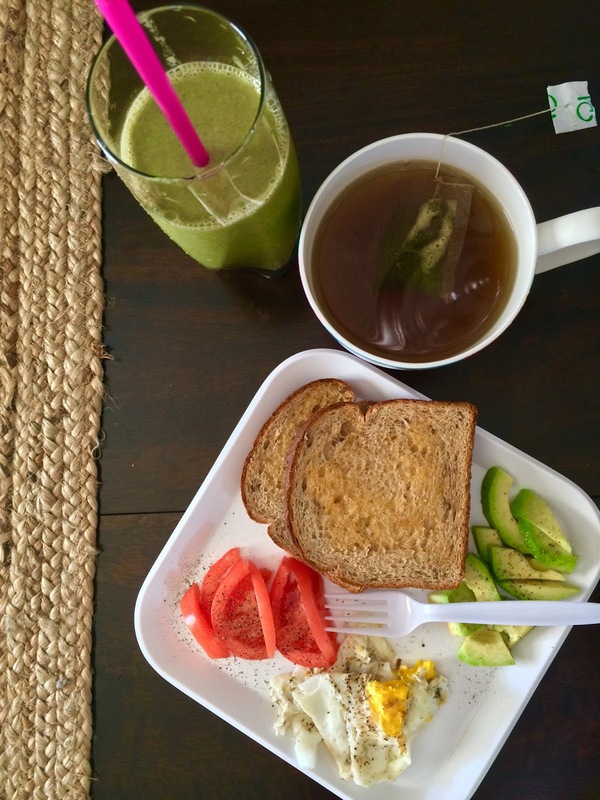 Do you have some quick, healthy breakfast ideas?? Share them in the comment section, I would love to try them!